On Tuesday May 25th 2010 we were at the Butler Senior High School. 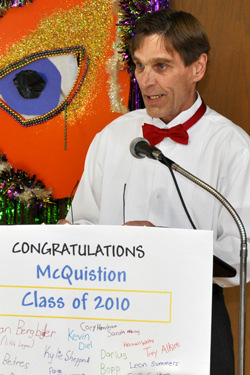 The event was a 6th grade graduation banquet for McQuistion Elementary School. Guests began arriving at the Butler High School at 5:30 PM where they watched a video montage, featuring photos of the students from the past school year. At 6:00 PM, guests were welcomed by banquet committee co-chair Mrs. Connie Bopp and by Principal Fox. Dinner was prepared by the Monroe Hotel and was served buffet style. After dinner, students were recognized for their achievements over the past year and awarded their diplomas. 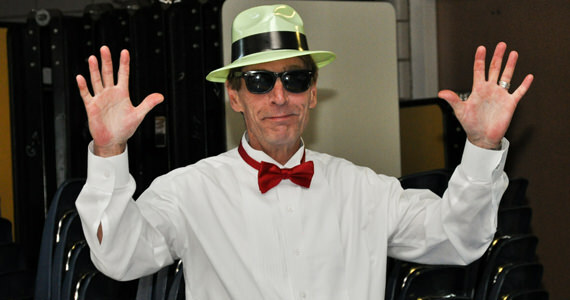 Following the award ceremony, the students participated in several games, contests and dancing. Throughout the evening, the graduates had several opportunities to win prizes and gift cards. Each student also was given a party prop. 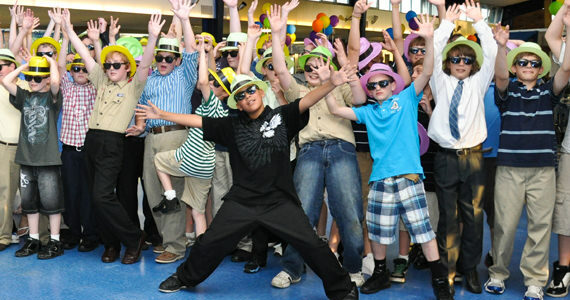 The boys received black gangster hats & sunglasses and the girls received sequin newsboy hats. The graduation banquet ended at 10:00 PM as we invited everyone to share in the last dance of the evening to “I Had The Time Of My Life” by Bill Medley and Jennifer Warnes.